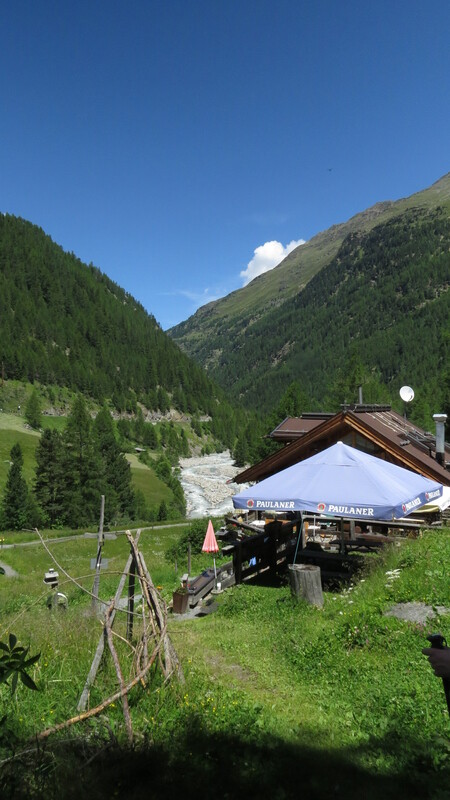 Dear Readers, today I would like to take you on one of my favourite early holiday walks in Obergurgl, Austria. It isn’t very rugged, or very challenging, though as I arrived with a sore throat and cough, and as the sole of one of my boots has decided to drop off, it was quite challenging enough. I love it because of the sheer variety of terrain, from meadow to pine forest to scree to mountain hut. I also love it because it has some uphill and some downhill, and so my muscles can start to get into the swing of things. Here is the view back to the village at the end of the first climb. 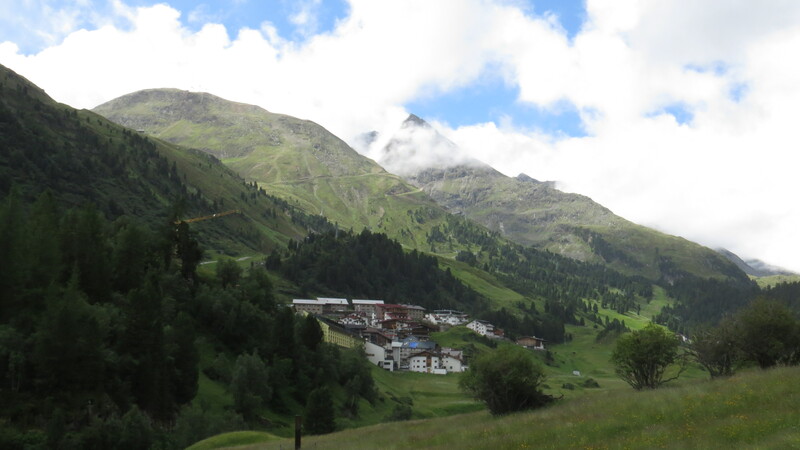 Obergurgl is at the end of the Oest valley, which is one reason why we love it – it doesn’t have through traffic, the curse of many an alpine village, and it is the epicentre of numerous side valleys. One of the glories of the surrounding hills are the meadows, at their very best at this time of year, just before the first hay cut. 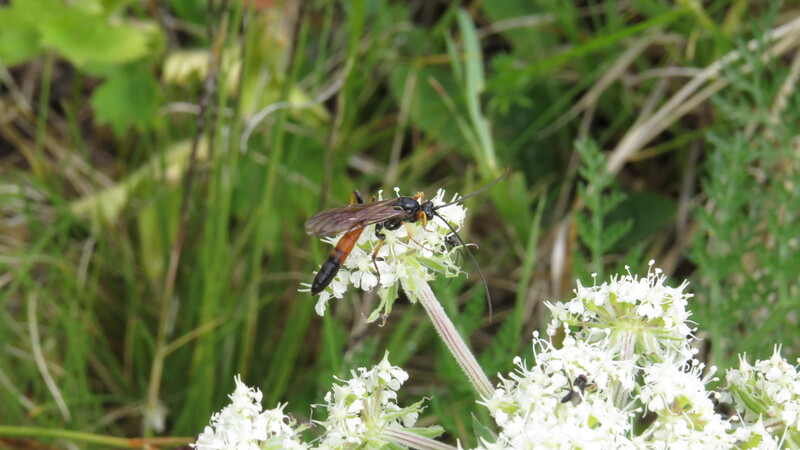 And I am in my element – the sheer variety of insects makes my head spin. 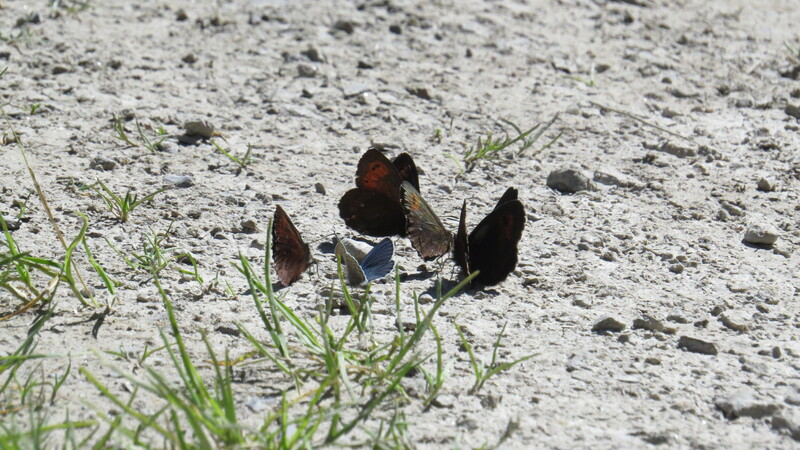 Clouds of butterflies descend on the dusty paths to feed on the salts in animal droppings, whirling up as we pass. 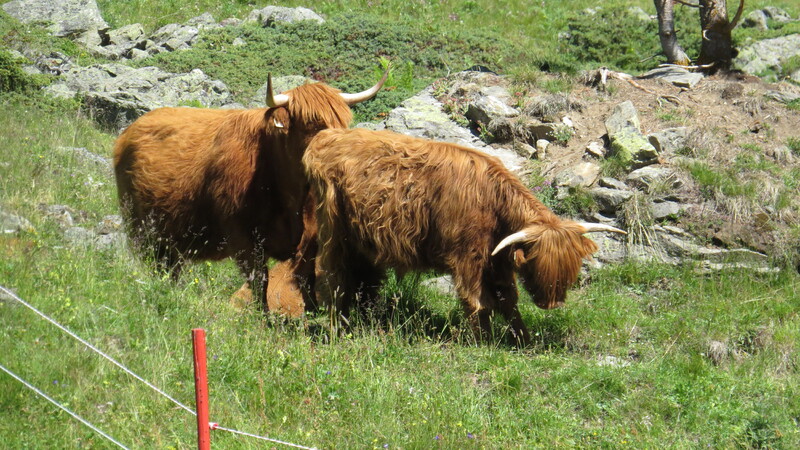 We look to see what cows are about, and as usual there are some fine Highland Cattle, who seem to do very well in spite of the Austrian summers being considerably warmer than the Scottish ones. And then it’s on into the woods. 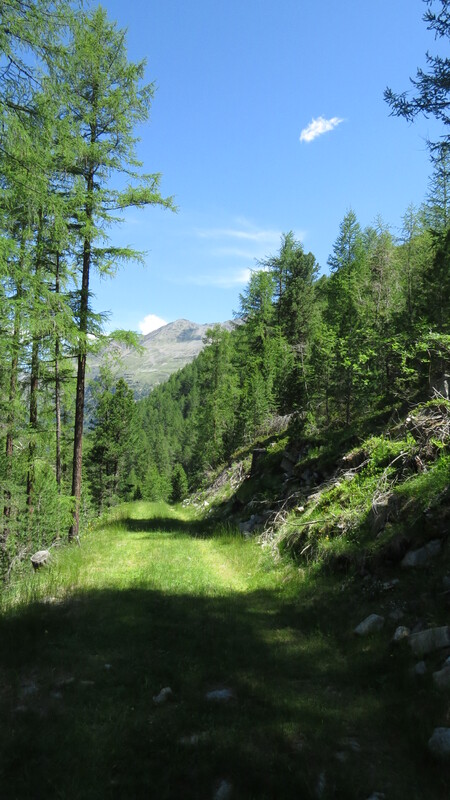 These are mostly Arolla pines, and at this time of year you can hear the local jay, the spotted nutcracker, leading the fledglings through the branches. The youngsters make a call a bit like a car alarm. 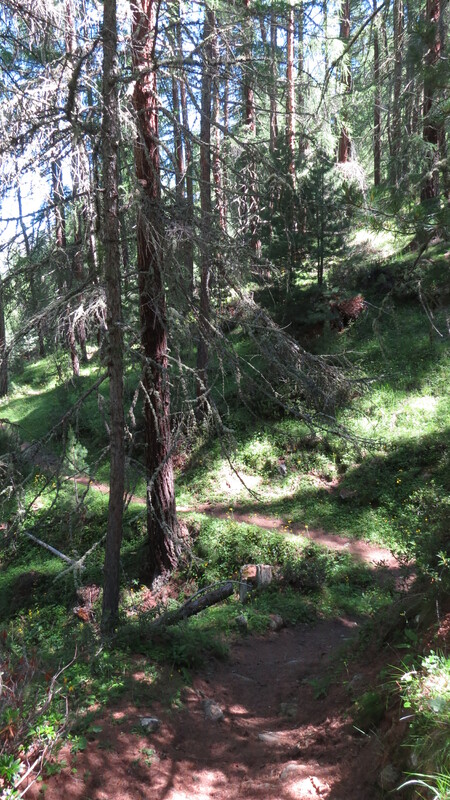 The woods are cool and quiet after the meadows, apart from the occasional sound of cow bells from the Tyrolean blue cattle that graze here, and the roar of motorbikes from the road below. 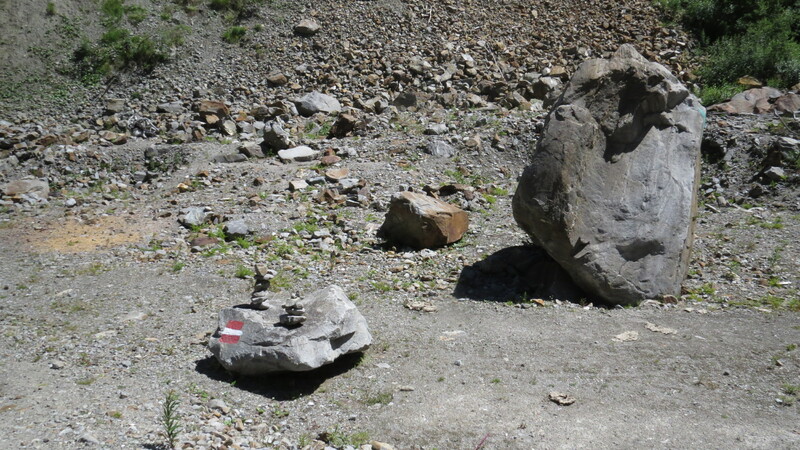 Many biking folk choose to go into Italy via the Timmelsjoch pass, just half a kilometre from where we are walking, and there is also a Motorcycle Museum beside the tollroad. 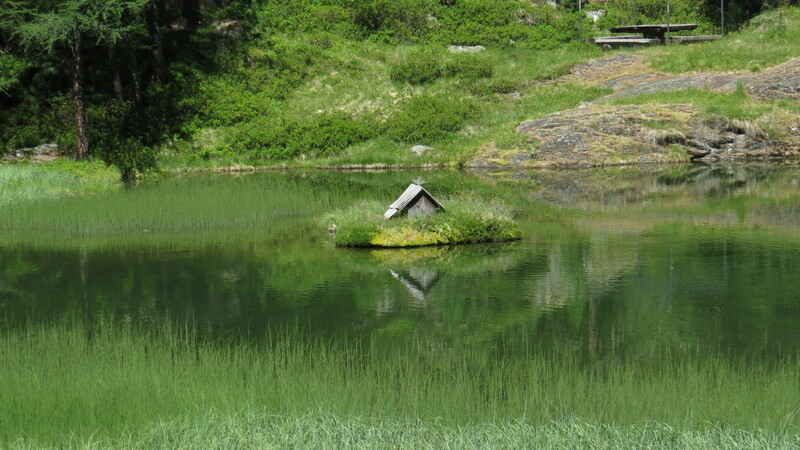 Soon we reach a little lake called the Pillersee, which has a most attractive duck house in the middle, though I have never seen a single duck take advantage of it. You might think that this would be an ideal spot to stop for a sandwich, but be careful, gentle traveller! On our last visit, we stopped here for the time it took to eat a cheese sandwich (approximately four minutes in my case) and I acquired 12 mosquito bites. My husband didn’t get one. I have recently read that mosquitoes prefer people who have Type O blood, and as my husband has Type A maybe this is the explanation. Or it could just be that I was sweatier than he was. Anyhow, take this as a warning, and glance at the duck house while rushing past at speed. 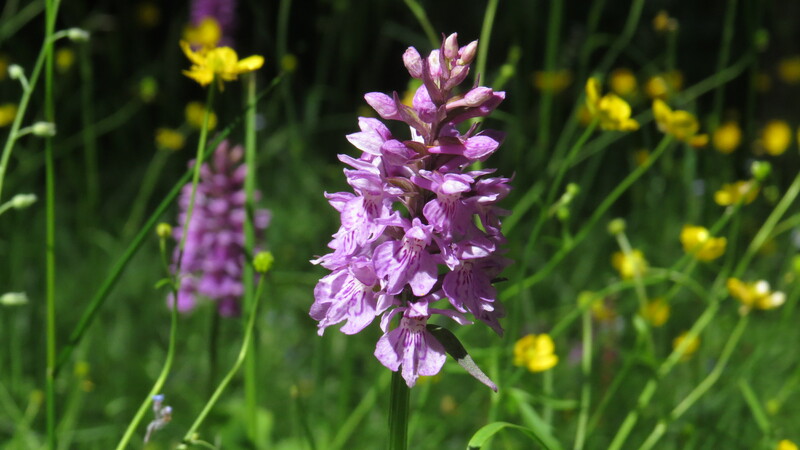 Just a little further on, we found a patch of early flowering orchids popping up among the buttercups. 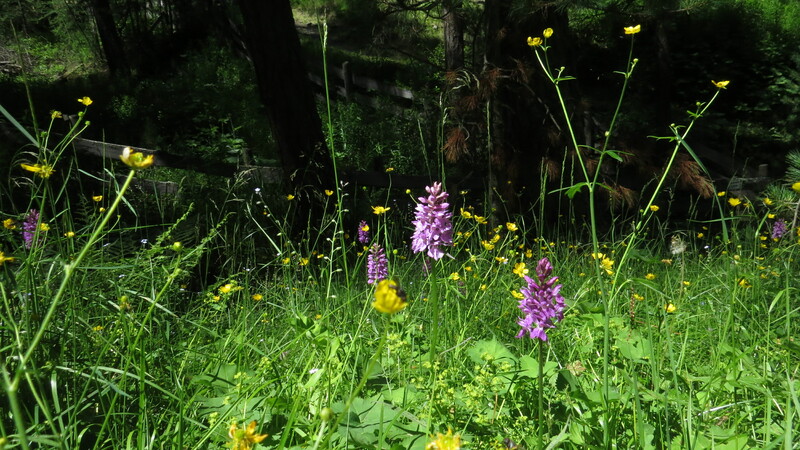 There are lots of orchids here. 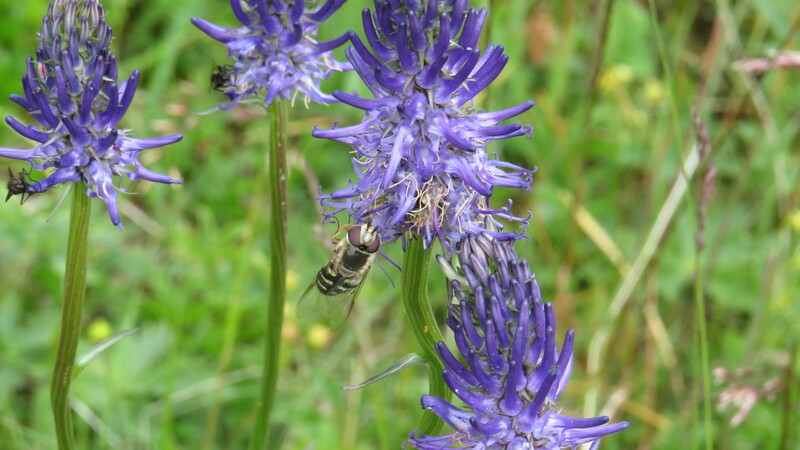 In fact, the whole flora is so diverse and plentiful that it makes me weep for our intensively managed, vanishing meadows in the UK. 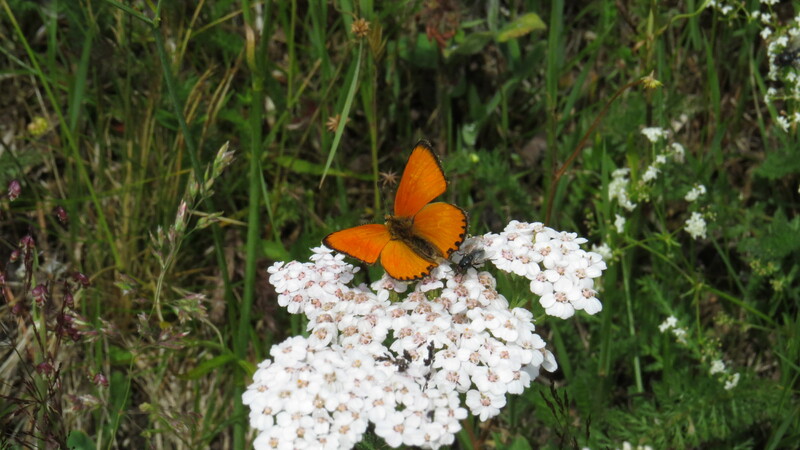 Nearly all the plants here can also be found at home, but I rarely see such variety. Then, it’s over a moderately scary bridge. 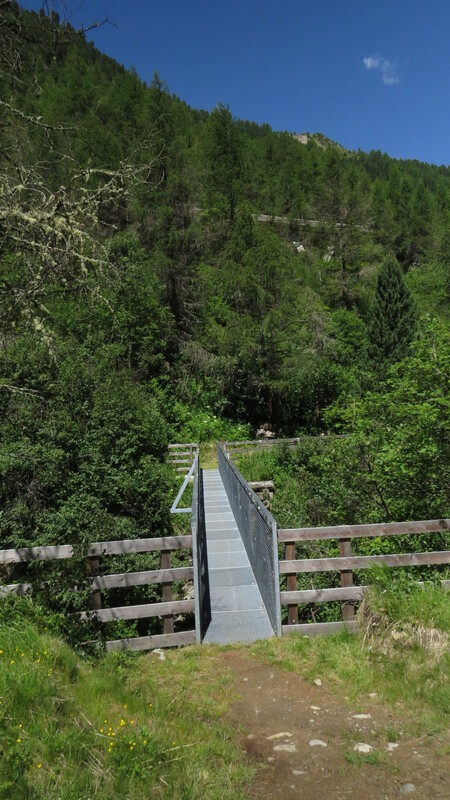 There are a variety of scary bridges in these parts – there’s a delight in bridges that you can see through, which doesn’t help my slight vertigo. 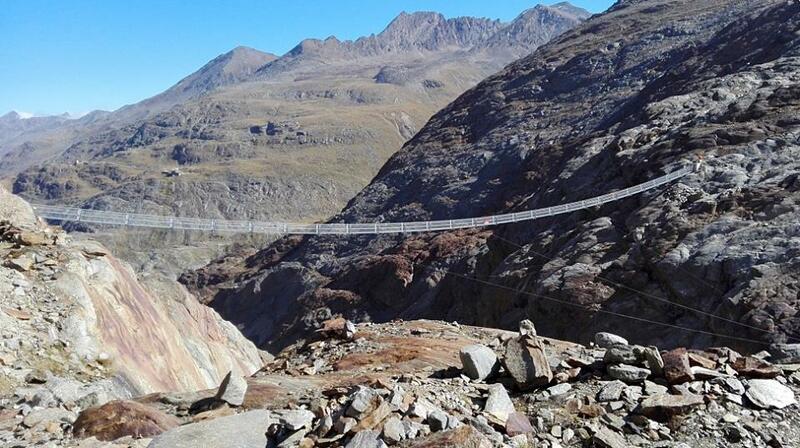 However, this is as nothing compared to the new suspension bridge, just opened on Thursday, over the nearby Gurgler glacier. Methinks I will be giving this one a miss. Once over the bridge, we walk alongside the glacial river which is in full spate at this time of year, making it difficult to hear. 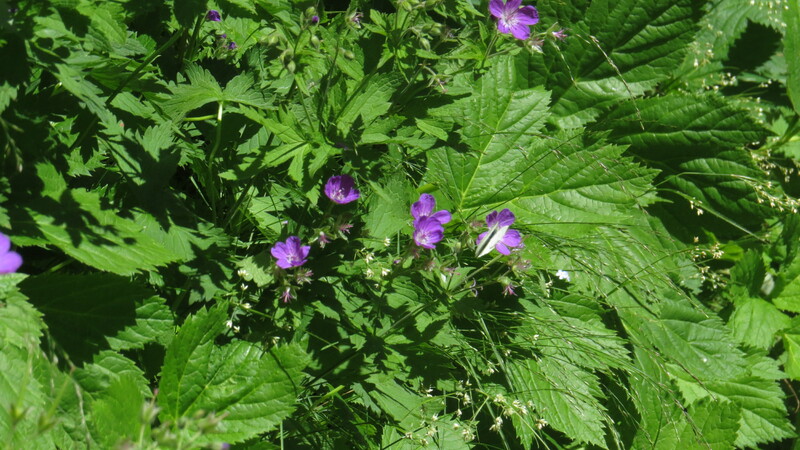 The plants along the path are lush and green, with lots of meadow cranesbill. 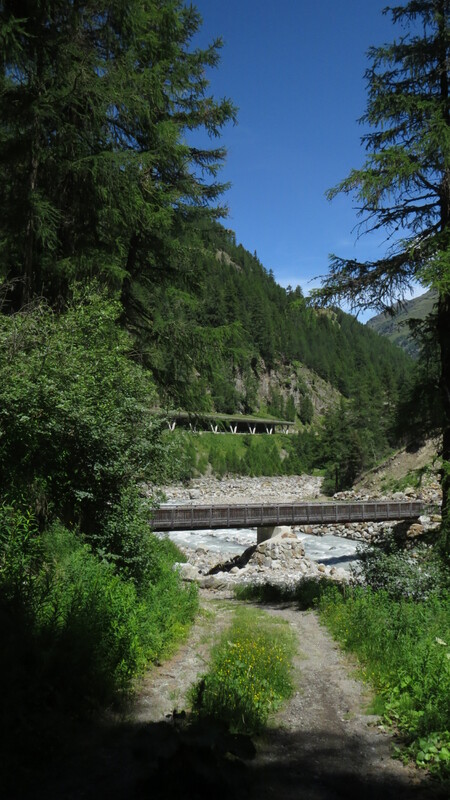 Soon, we come to a much more substantial bridge, below the main road, which is protected from avalanches and landslides by a rather attractive ‘avalanche gallery’. 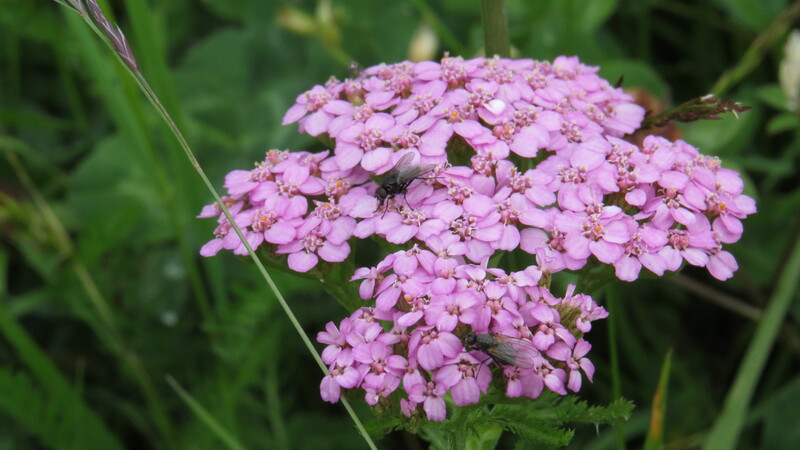 The rocks roast beside the river, and there are very few plants – tiny willows and rosebay willowherb survive in the flood zone, but that’s about it. 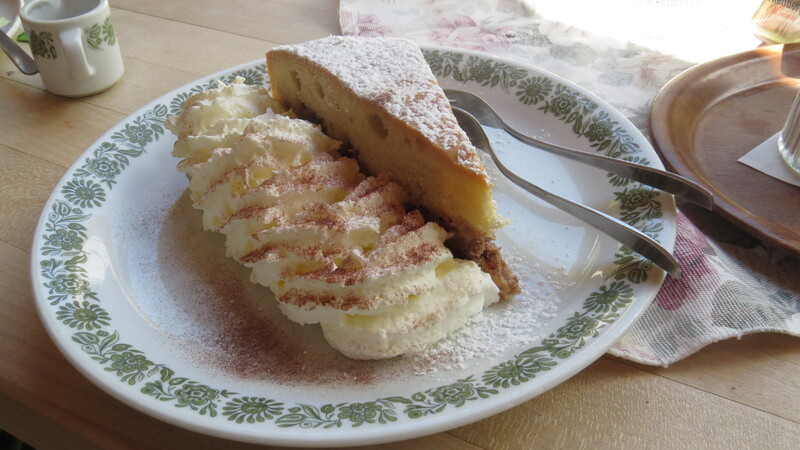 But now we are nearly at the Sahnestuberl, which bakes the best cakes in the valley in my opinion. We always come at least once, and sometimes twice. 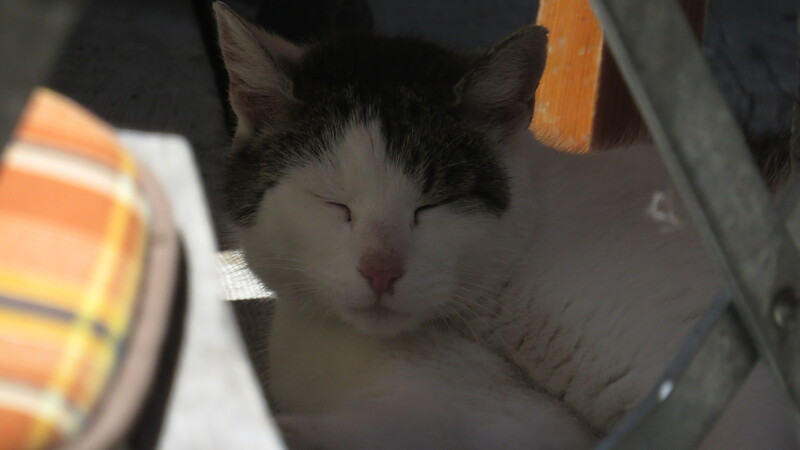 Last year’s cat is still in residence. And here is the cake of the day. Apple cake. Note the two forks. We’re not greedy. 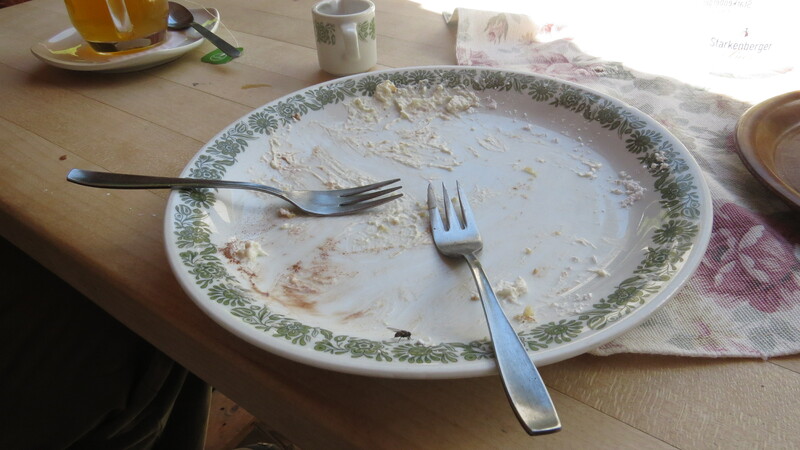 Four minutes and thirty seconds later. And no, we didn’t fight. So, my throat is now better (thanks to some very fine throat lozenges), I have new boots (after spending a week patching the old ones up with glue I decided that they really were done for), and we have another week here in Obergurgl. Who knows what we will get up to this week? 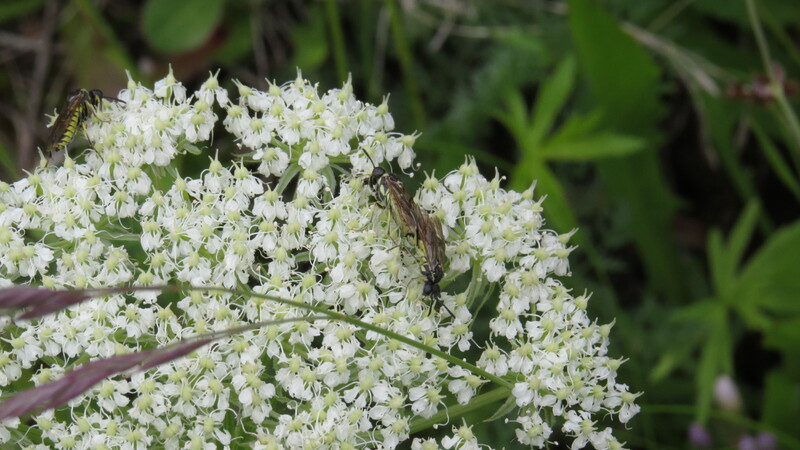 This entry was posted in Bugwoman on Location on July 8, 2017 by Bug Woman. Oh to trade places with the dozing feline! Feel better and enjoy your time in this enchanting place. 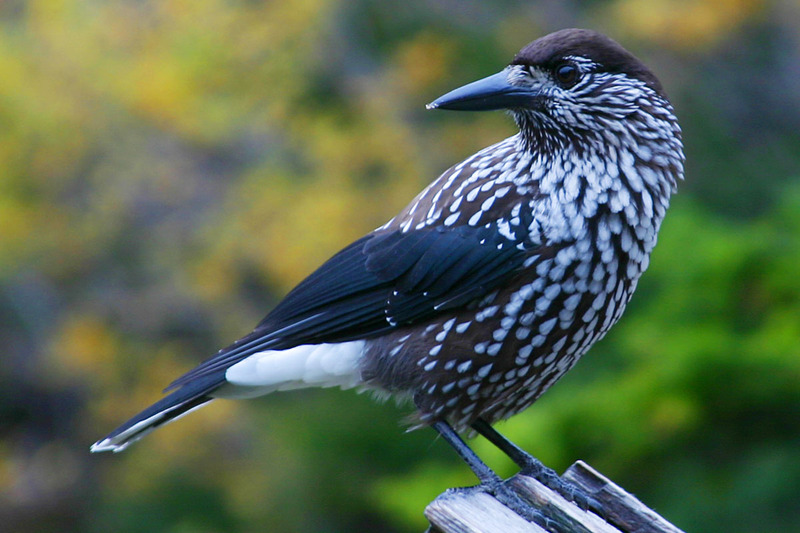 Looks like a beautiful area, loving the wildlife pics. Thankyou for sharing.